Community Health Care Association of New York State, New York, NY. The Delivery System Reform Incentive Payment (DSRIP) program is the main mechanism by which New York State has sought to implement the Medicaid Redesign Team (MRT) Waiver Amendment. The intention of DSRIP was to reinvest in the Medicaid program, with the primary goal of reducing avoidable hospital use by 25% over 5 years and achieving defined results in system transformation, clinical management and population health. In its fifth and final year, the DSRIP program is increasingly focused on rewarding collaboration between providers and on transitioning providers to Value Based Payment (VBP) arrangements. The Community Healthcare Association of NYS (CHCANYS) is working to build capacity to support its members in the transition to VBP and integrated care. CHCANYS was selected, along with five other primary care associations and five behavioral health state organizations, to participate in the Delta Center for a Thriving Safety Net, a two-year primary care and behavioral health State Learning and Action Collaborative, focused on providing technical assistance to state primary care associations and behavioral health associations as they advance toward value-based systems of care. The goal of the CHCANYS project is to position health centers throughout New York State to build strong cross-sector partnerships and succeed in a VBP environment. Foster practices of a learning organization. Offer webinars, fact sheets and toolkits to enhance learning. Project Partners: New York State Council for Community Behavioral Healthcare (NYS Council), a statewide nonprofit membership association representing the interests of nearly 100 behavioral health (mental health and substance abuse) prevention, treatment and recovery organizations across New York. The Community Health Care Association of New York State (CHCANYS) was established to give a voice to the state’s network of community health centers as leading providers of primary care. The oldest Primary Care Association in the country, CHCANYS today represents more than 70 community health centers that operate over 800 sites in every region of New York State. 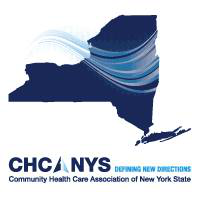 CHCANYS mission is to champion community-centered primary care in New York State through leadership, advocacy, and support of Community Health Centers.